In 1811 Dr Charles Moss, Bishop of Oxford, left the sum of £3000 in his will for charitable causes, including the establishment of schools at Wheatley and Cuddesdon “for the education and bringing up of children of the same parishes”. In 1818 a house in the High Street, now known as Mitcheldene, was purchased by the Trustees of Bishop Moss’s will, for the purpose of establishing the first school in Wheatley. A large schoolroom, which still stands in the grounds of Mitcheldene, was used for the boys, while the house itself provided a classroom for girls and accommodation for the Master and Mistress. 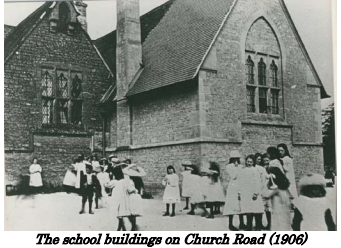 In this fascinating account written by Liz Wickens you can read about how Wheatley CE Primary has served across the generations for over 200 years.